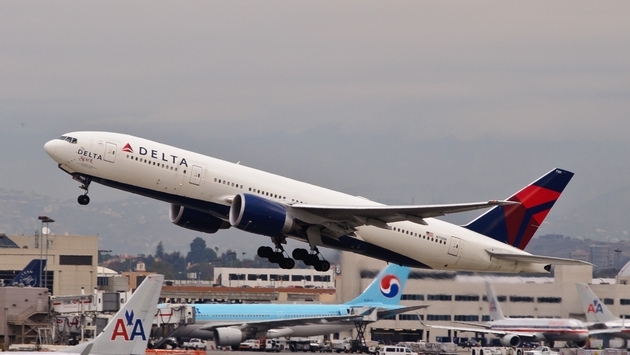 Airbnb has formed a new partnership with Delta Air Lines in a move that will open the door for Delta's SkyMiles members to earn miles through stays with the San Francisco-based home-sharing platform. Members will be able to earn one mile for every one dollar spent on qualifying Airbnb bookings. Benefits include up to 1,000 bonus miles and a $25 Airbnb coupon code for new Airbnb guests and up to 25,000 bonus miles for new Airbnb hosts. Travelers must book through Delta.com/Airbnb to access the member benefits. "This industry leading partnership enables us to provide a unique benefit to our SkyMiles members, enabling us to reward them for their lifestyle choices through the SkyMiles loyalty program." said Delta's vice president of customer engagement and loyalty Sandeep Dube in a statement accompanying Wednesday's announcement. "We are excited to partner with Delta and offer their travelers the opportunity to earn Delta miles when staying and hosting on Airbnb, while creating memorable moments with friends and family," Airbnb's head of business development Lex Bayer said in a statement. "SkyMiles members can now enjoy the additional benefits of living like a local with authentic travel experiences on Airbnb in all global destinations that Delta services." Delta joins Virgin America and Australia's flag carrier Qantas as Airbnb airline partners. In addition to the partnership, the companies announced that Airbnb has signed Delta to be one of its preferred airline suppliers to serve its employees traveling for business. Delta will also serve as the exclusive airline sponsor for the Airbnb Open in Los Angeles this month.